Product information "Complete kit DVD Navigation retrofit for Audi A6 4F MMI 2G"
After fitting the vehicle needs top be coded to navigation. Please get in contact with a local Audi dealer. 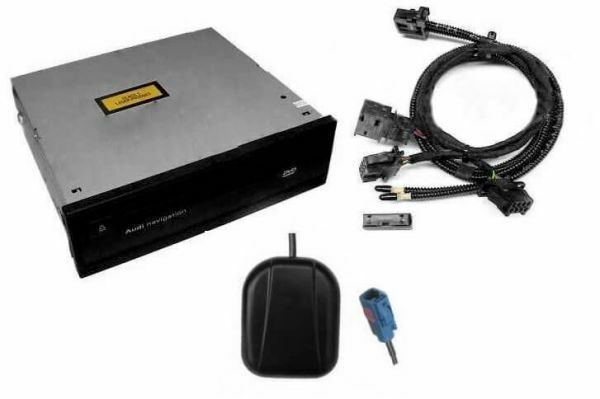 Customer review for "Complete kit DVD Navigation retrofit for Audi A6 4F MMI 2G"
Properties: "Complete kit DVD Navigation retrofit for Audi A6 4F MMI 2G"
Installation manuals for "Complete kit DVD Navigation retrofit for Audi A6 4F MMI 2G"